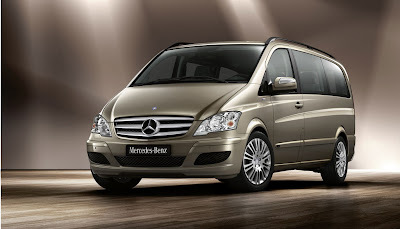 The new generation of Mercedes-Benz Viano raises the benchmark for comfort, material quality and efficiency in large-capacity vehicles to a whole new level. The improved interior of both cockpit and passenger compartment sets new standards, as does an efficient new drive system. The vehicle's unique BlueEFFICIENCY technology, which comes as standard, ensures maximum fuel economy and minimum environmental impact. 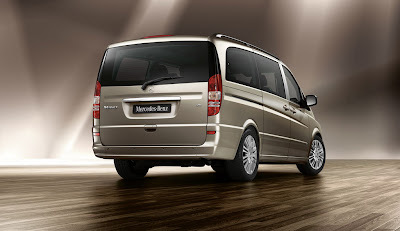 The new suspension offers comfort in conjunction with driving enjoyment and active safety, while the fresh styling of the Viano takes cues from the current Mercedes-Benz passenger car range to give the Viano a character all of its own.